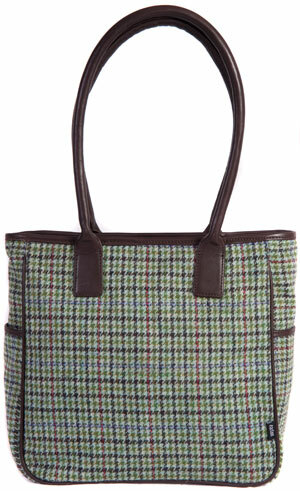 The perfect size tote bag made in a Scottish pure lambswool soft touch tweed from Johnstons of Elgin. 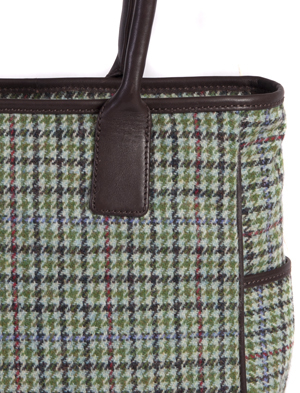 The tweed has a turquoise base with subtle purple, red and green check, trimmed with a soft brown calf leather. 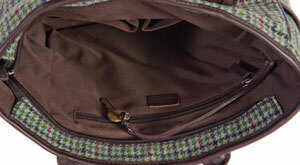 Interior details include a zip pocket, key clip, phone and purse pockets. 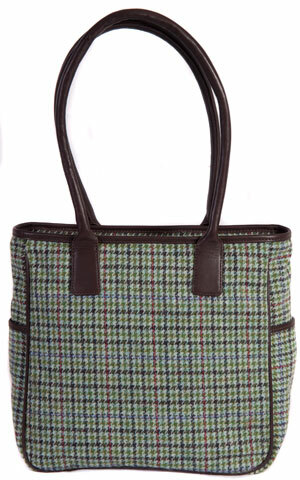 Approx size 28cm x 29cm x 11cm. There is a matching purse to go with this bag.